Why in the world would we want to take on someone we are no match for when we don’t have to? Jesus is our Elder Brother, our Mighty Warrior, who is wiser, more powerful, more capable, and more equipped to fight our battles than we are. Because we are in union with Him by faith, we don’t have to fight our battles alone, He will fight them for us. The Bible gives us many examples where the Lord fights for us in those instances when the Enemy of our faith seeks to come against us. Moses told the Israelites not to fear the Egyptians. His words still ring true, “The Lord shall fight for you” (Exodus 14:14). This promise is repeated again in Deuteronomy, “Ye shall not fear them: for the LORD your God he shall fight for you” (Duet. 3:22). Joshua, shortly before his death, assured the people, “For the LORD your God, he it is that fights for you, as he hath promised you” (Joshua 23:10). 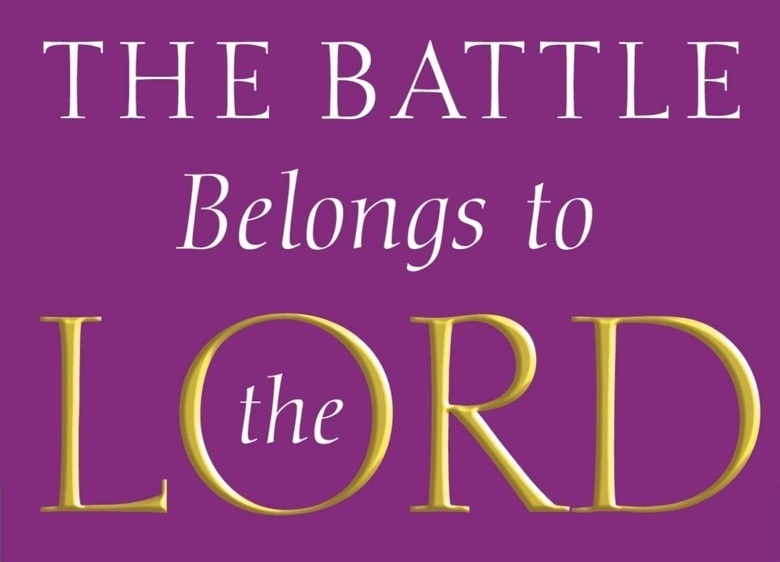 Once when Jehoshaphat, king of Judah, was going out to battle a prophetic word was delivered unto him, “Thus says the Lord unto you, ‘Be not afraid nor dismayed by reason of their great multitude; for the battle is not yours but God’s’” (2 Chron. 20:15). Jehoshaphat was told to “stand still and see the salvation (deliverance) of the Lord…fear not, nor be dismayed…For the Lord will be with you” (2 Chron. 20:17). Hezekiah, king of Judah, gave the people heavenly assurance with these words, “Be strong and courageous, be not afraid nor dismayed for the king of Assyria, nor for all the multitude that is with him: for there be more with us than with him: With him is an arm of flesh; but with us is the LORD our God to help us, and to fight our battles.” (2 Chron. 32:7-8). Too often we want to take matters into our hands when our Adversary, like a roaring lion, seeks to pounce upon us. We are no match for lions (physical ones or spiritual ones), so we are told simply to “submit ourselves to God; resist the devil, and he will flee” (James 4:7). We resist the devil by submitting our battles to the Lord when the enemy seeks to come against us. The Reformer Martin Luther put it in terms that are clear and understandable when he stated, “When the devil knocks on the door, don’t you answer it; let Jesus answer the door.” Excellent advice. Whether it be a temptation that continues to hound us, a trial that seeks to undo us, or a testing that seeks to sideline us, just surrender the battle to the Lord and let Him begin to work on our behalf knowing that “this is the victory that overcomes the world, even our faith” (I John 5:4). He can turn our struggles to strength; our confusion to confidence; our fear to faith; our disaster to deliverance; and our worry to worship! Let us surrender our fights to Him and God will show up for us in the name of Jesus Christ our Savior. His strong arm can turn what seems to us an impossibility to possibility. Paul, as he approached the end of his life, spoke of enduring many persecutions and afflictions, but triumphantly adds, “But out of them all the Lord delivered me” (2 Tim. 3:11). He will deliver us, as well, if we yield our battles to Him. What is your battle today? Surrender it to Jesus. Victory awaits, just let Jesus do the fighting for you.